Shore excursion to Florence for cruise passengers. Includes pick up and return to the port in Livorno. Your day-trip to Florence begins with a private car pick-up directly from your ship at the Livorno dock. 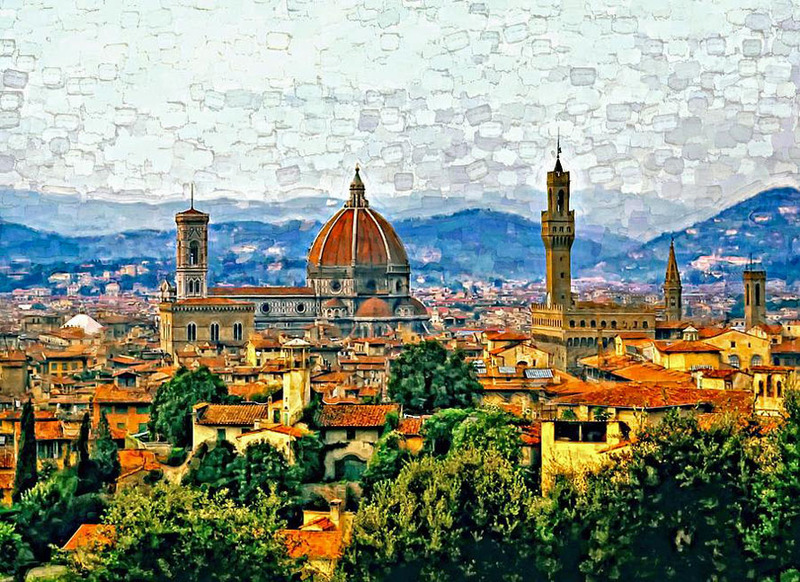 You will then arrive to the center of Florence to meet your private guide and start the tour at the Piazza Dumo, main religious centre of Florence, to see the Duomo (outside, to see the famous Dome by Brunelleschi), then to the Battistero (outside, to see its famous bronze gates); we’ll continue with a visit to the Gallery of the Academy of Florence that house the famous David by Michelangelo; then to Santa Croce Church, where Michelangelo, Galileo and other Italian glories were buried. After lunch in a typical restaurant we’ll visit the Uffizi Gallery, one of the most important Italian museums, it holds a collection of priceless artworks, particularly from the period of the Italian Renaissance. We’ll then walk the Signoria square, with its open air collection of famous statues, and Palazzo della Signoria; last stop will be at the Old Bridge, Ponte Vecchio, over the Arno River, to meet your driver that will drive you back to the dock in time to board your ship. We’ll prepay your entrance fees in advance in order to avoid the long queues. Since the tour is private, for your party only, further customization of the tour is possible in order to accommodate special needs and desires. Meals and drinks: not included. No line to get in to the Accademia Gallery and Uffizi Gallery!